Limited time offer with exclusive savings. There’s no time like the present to plan your London escape! The New Cross Inn Hostel is a friendly hostel, well connected with the city center, that offers the best value for money. Simply select your dates, click the “GO” button, and the discount will automatically be applied. 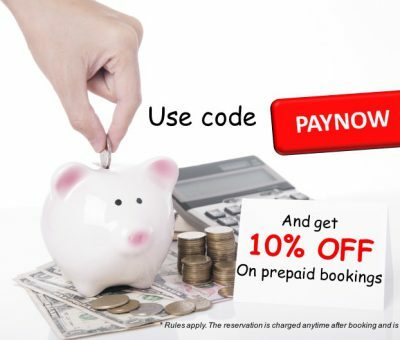 Terms and Conditions – Prepaid bookings: By using a Prepaid promotional code you authorize Holiday Estates Limited trading as New Cross Inn Hostel to charge the total amount of the reservation anytime after booking. Reservations must have minimum length of 2 days and booked a minimum of 3 days before arrival date.